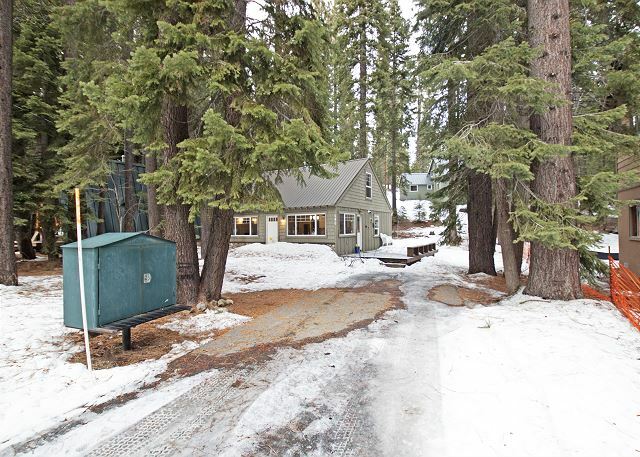 Aspen Grove is a wonderful remodeled cabin in the desirable Tahoe Pines neighborhood. 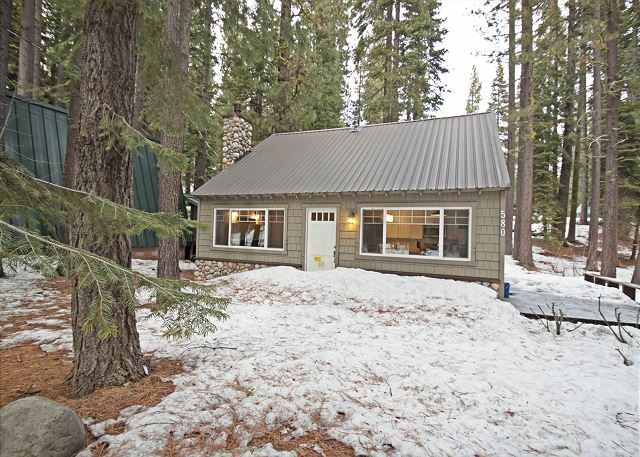 This lovely three-bedroom cabin is perfect for a small family or couples wanting to leave the daily grind behind and experience the beauty and peaceful vibe of stunning Lake Tahoe. 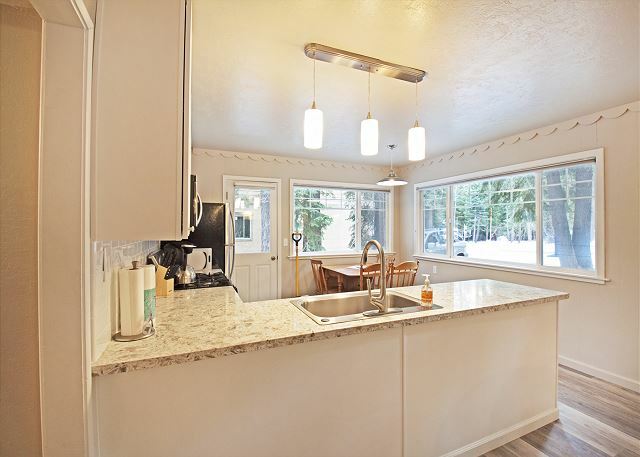 Downstairs you’ll find a well-equipped kitchen with stainless-steel appliances and spacious counter tops to make cooking and entertaining easy. 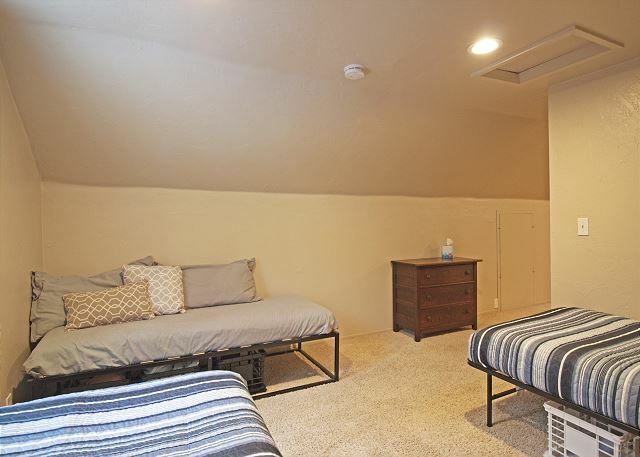 The living room area, two spacious bedrooms, one with a king size platform bed and the other with a queen platform bed. 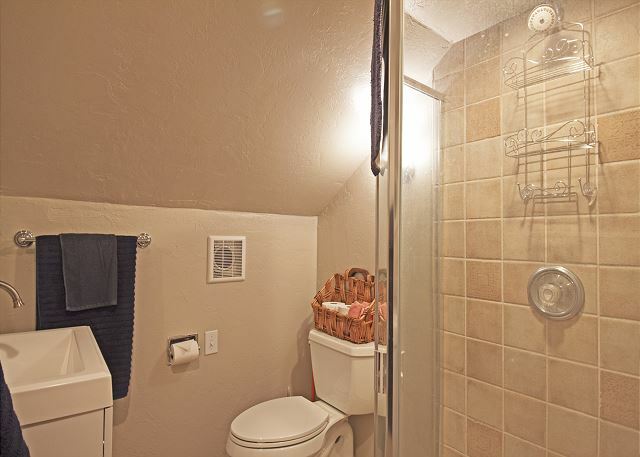 There’s a full bathroom in-between these two bedrooms with a tub/shower. 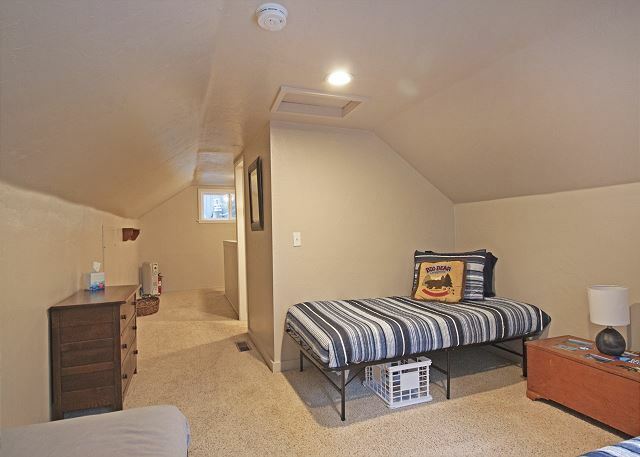 Upstairs you’ll find the third bedroom which has two twin beds as well as a full bathroom equipped with a shower stall. The living room has a large flat screen television with cable and smart tv capabilities allowing you to stream movies from your Netflix account. 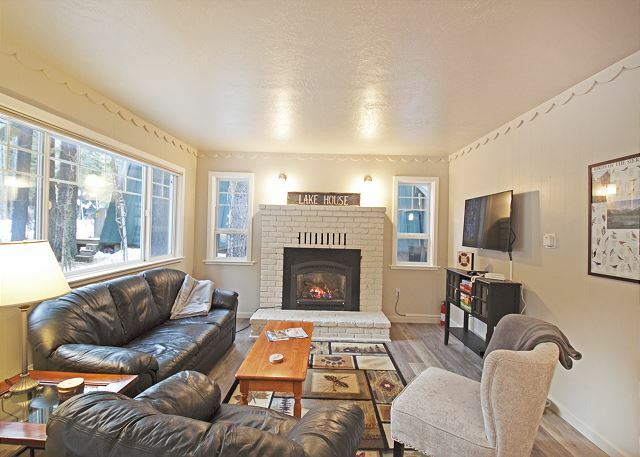 Cozy up in front of the gas fireplace on those cold winter nights and enjoy a hot cup of cocoa or curl up on the couch and read your favorite book! 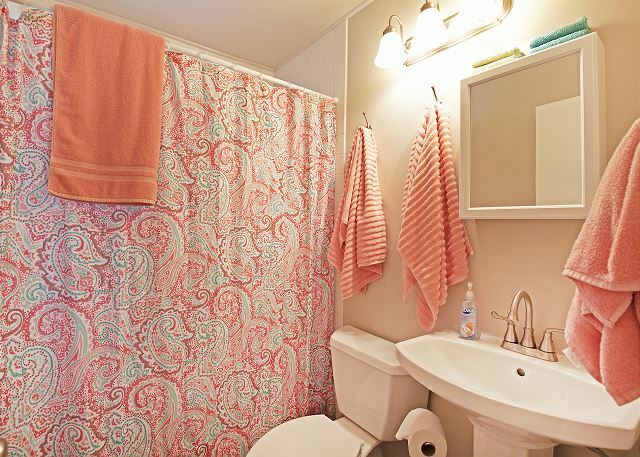 Other amenities to make your stay more comfortable include wireless internet, a washer and dryer, dishwasher, gas range, microwave, Keurig coffee maker, toaster and even a mixer. 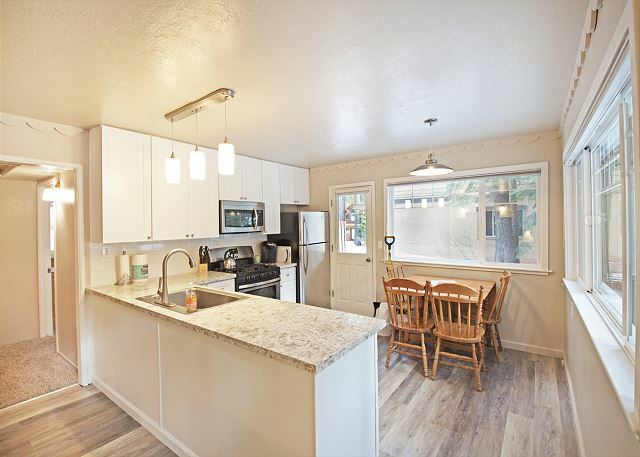 During the summer months you can relax on the front deck and BBQ up your favorite foods or take a scenic walk down to the lake, which is only a few blocks away. The private pier is yours to enjoy as well! You can also walk or ride your bikes to the other end of Grand Avenue which will lead you to Blackwood Canyon, offering endless hiking/biking trails. 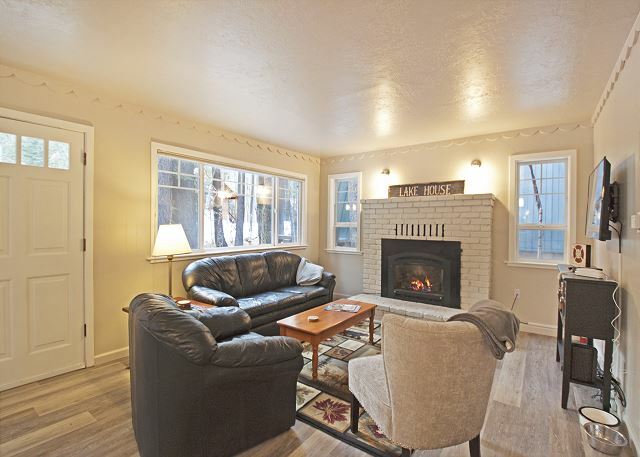 During the winter months, enjoy skiing or boarding at Homewood Mountain Resort which boasts fabulous lakeviews and is only 5 minutes away; the infamous Squaw Valley and Alpine Meadows are only 15-20 minutes away; and Northstar Mountain Resort is only about 45 minutes away. Well-behaved pets will be considered but MUST be approved prior to making your reservation. Call West Lake Properties direct for approval. 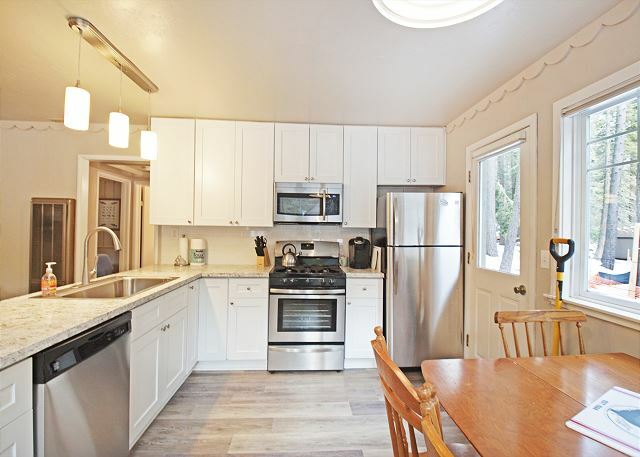 This home does not allow any parties or events as this home is in a residential neighborhood, and quiet time starts at 10pm. 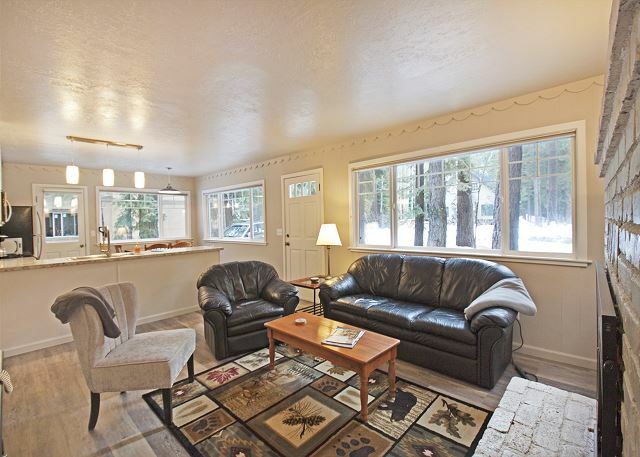 Call West Lake Properties at Tahoe DIRECT at 800-870-8201 for the BEST RATES!